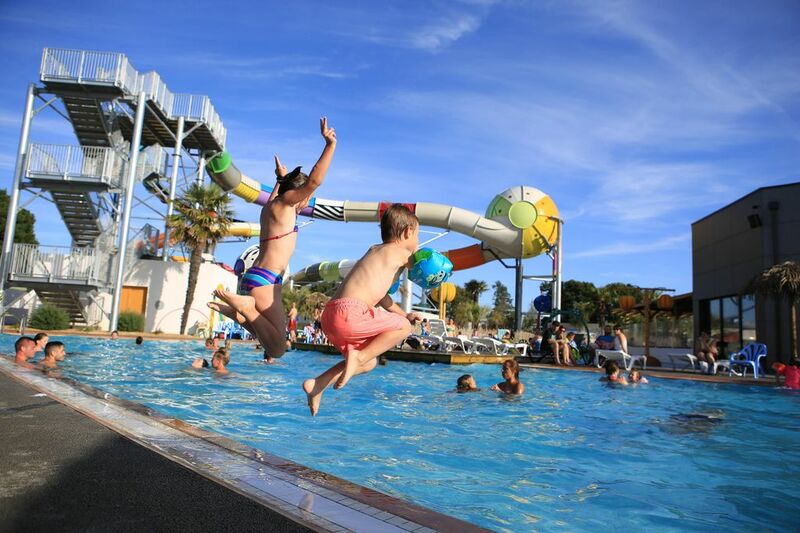 5-star campsite with aquatic area consisting of an indoor pool, jacuzzi, outdoor pool with slides, waterfalls and play area for children. Quiet campsite, green in a family atmosphere. Animations adapted to families: 2 children's clubs (tiny club for 3 / 6years and kids club for 7 / 11years) + the appointment of the afternoon (children's show, storytelling, make-up, boom ...) inflatable games. modern and secure playground. Room bathroom and separate toilet. Excellent séjour au camping Le Château, très bon accueil et très belles prestations sur le logement et également sur le camping. Vivement la prochaine fois! The relaxation between Forest and sea. Ideally located between St Jean de Monts and St Gilles Croix de Vie, near Vendée Corniche. Come spend a relaxing holiday with your family. in a green setting. The beaches are a 15-minute bike ride through the forest trails.